Resides in Montalban, Venezuela...name is pronounced BRAY-vick Vah-lair-ah. Played for four teams, including the Dodgers and Orioles in what was his ninth professional season...combined for a .234 batting average with eight RBI in 32 games at the MLB level...Started the year in St. Louis' system before being dealt to Los Angeles-NL on March 31 in exchange for OF Johan Mieses...started the season with triple-A Oklahoma...Appeared in 20 games for the Dodgers, hitting .172/.273/.172 (5-for-29) with four RBI...Acquired by Baltimore from Los Angeles-NL along with OF Yusniel Díaz, INF Rylan Bannon, RHP Dean Kremer, and RHP Zach Pop in exchange for IF Manny Machado on July 18...was optioned to triple-A Norfolk... Was a September 1 call-up for Baltimore and hit .286 with four RBI in 12 games. Was purchased from Memphis (AAA) on 9/5 and made his MLB debut that night at SD, starting at second base. Played in 800 minor league games before his first MLB game ... Recorded first MLB hit at SD (9/7) with a pinch-hit single off Craig Stammen in the 7th inning ... Led Memphis in batting (.314), hits (133) and triples (6). Posted 39 multi-hit games ... Was Toughest to Strike out in the Pacific Coast League with one strikeout/13.82 total plate appearances ... Named Cardinals Minor League Player of the Month for August batting .346 (36-104) with 9 doubles, 5 HR and 18 RBI ... Named Pacific Coast League Player of the Week (7/31- 8/6), batting .517 (15-29) with four doubles, two home runs and seven RBI, including five multi-hit games with three consecutive three-hit games ... Ranked among Cardinals minor leaguers in batting (.314, 4th), runs (68, T5th), hits (133, 3rd), doubles (22, T10th) and triples (6, T5th) ... Had a team-high 26-game on-base streak (7/30-8/29) posting a .415 OBP during the stretch, ranked 12th-longest in the PCL ... Batted .238 (5-21) with two doubles and two walks over five games in the Pacific Coast League playoffs ... Committed only five errors in 326 total chances at second base for a .985 fielding percentage ... Tied for the PCL lead with 11 caught stealing ... Played in 27 games for the Bravos de Margarita of the Venezuelan Winter League batting .258 with a .391 OBP. Hit a combined .304 (120-395) with two triples, 19 doubles and 11 stolen bases in 125 games between Springfield (AA) and Memphis (AAA)...Worked 40 walks against 40 strikeouts...Between the two clubs, appeared defensively in 47 games at second base, 41 games at shortstop, 21 games at third base, 13 games in right field, eight games in left field, and two games in center field...Recorded a combined .361 mark (65-180) in 66 games while hitting in the 7-9 spots of the Springfield and Memphis lineups...Hit .368 (25-68) off opposing PCL left-handers...Batted .373 (22-59) with runners in scoring position while with the Redbirds, including .440 (11-25) with two outs...After 7/1, finished season batting .350 (64-183) over final 57 games. His .350 average was tied for the 3rd-highest among Triple-A batters over that time period, while his .420 on-base percentage ranked 4th...Went hitless in back-to-back games only once (8/9, 8/12) over final 37 games after 7/29...Named Most Valuable Player of the Venezuelan Winter League while playing for Bravos de Margarita. Led the circuit in hits (78), slugging (.566) and total bases (124), co-led in triples (6), ranked 2nd in TPA/SO (13.83) and stolen bases (11), T2nd in runs scored (40), 3rd in on-base percentage (.418) T3rd in games (61), and 5th in average (.356)...Added to St. Louis' 40-man roster (11/7). Received an invitation to Major League Spring Training as a non-roster invitee...went 0-for-3 with a walk and two runs scored in five Grapefruit League games...played the majority of the season with Springfield (AA), batting .236 (85-360) with three home runs, two triples, nine doubles, and 31 RBI in 105 games... was the toughest to strike out in the Texas League (14.85 TPA/SO); struck out 27 times against 34 walks...hit .284 (27- 95) off left-handers and .219 (58-265) off righties...had more success in 54 home games at Hammons Field, batting .261 (46- for-176); hit just .212 (39-184) in 51 road contests...played in 37 games defensively at second base, four at third base, 28 at shortstop, 34 in the outfield...appeared in seven different spots in lineup, having the most success in the six hole (9G, .343, 12- for-35) and eight hole (30G, .301, 31-for-103)...also played 14 games with Advanced-A Palm Beach in August, reaching base safely in 13 games. Played in a career-high 132 games, splitting the season with 73 games at Palm Beach (A) and 59 games at Springfield (AA)...started at third base in the Florida State League All-Star Game in Bradenton for the South squad; played the entire game going 2-for-5 with a run scored, stolen base and RBI...named the "Best Defensive Second Baseman" in the Florida State League by Baseball America following the season...set singleseason highs in hits (163), RBI (57) and stolen bases (17), while tying his career highs in triples (6) and walks (40)...started 58 games, all at second base in Springfield, after starting games at four different positions at Palm Beach with 52 at second base, 10 at third base, three in left field and one at shortstop...led all Cardinals minor leaguers with 163 hits...ranked among Cardinals minor league leaders in batting (.313, 5th), runs (66, 6th), triples (6, T5th) and stolen bases (17, 8th)...batted .357 (46-129) with runners in scoring position, including a .392 clip at Palm Beach... had a torrid May batting .370 (44-119) with 17 RBI...posted a career-high five hits at Tampa (5/16), going 5-for-7 without scoring a run in an 18-inning game...tallied 49 multi-hit games over the season with 31 in Palm Beach...played for Peoria in the Arizona Fall League following the season, batting .333 (13-39) in 12 games with five RBI. Played the entire season at Peoria (A) appearing in 128 games and started games at five different positions: second base (46), left field (41), third base (16), shortstop (9) and right field (7)...named to the Midwest League All-Star West squad; came off the bench and went 1-for-1 with a run scored while playing left field...scored a career best 71 runs...was Toughest to Strikeout in the Midwest League (18.73 PA/SO)...ranked 5th in the MWL in batting (.309), T6th in runs (71) and T5th in atbats (515)...led all Cardinals minor leaguers with 159 hits and ranked in the Top 10 in batting .309 (4th), runs (71, T6th) and triples (6, T5th)...batted .313 (42-134) vs. left-handed pitchers and .307 vs. right-handers (117-381)...batted over .300 in May (.333), July (.330) and August (.305)...hit .352 (44-125) with runners in scoring position...had three four-hit games as a part of 42 multi-hit games. Began the season playing in three games at Springfield (AA) coming out of Extended Spring Training before reporting to Batavia (SS-A), where he played the next 69 games starting games at second base (46), shortstop (13) and left field (4)... named a NY-Penn Mid-Season All-Star...ranked among NYPenn League leaders in batting (.316, 5th), at-bats (282, 5th), hits (89, T2nd), total bases (118, 2nd) and toughest to strike out (11.30 AB/SO)...went 0-for-5 in his first game at Batavia then posted the 4th longest hitting streak in the NY-Penn League at 16 games (6/19-7/5), batting .390 (30-77) during the stretch...hit left-handed pitchers for a .404 (23-57) average during the combined season...hit safely in 51-of-69 games with 20 multihit games and eight of three or more hits (two 4-hit games; 6/29 at JAM & 8/20 vs. AUB)...rated as the No. 20 prospect of the NY-Penn League by Baseball America following the season. Split the season playing a total of 47 games between the Gulf Coast League Cardinals (R) and Johnson City (R)... ranked 5th among Cardinals minor leaguers with a .311 BA...hit his first mainland home run vs. GCL Nationals (7/23)...smacked left-handed pitchers with a combined average of .486 (17-35) between the two clubs, batting .563 in Johnson City and .421 in the GCL...batted .397 in Johnson City hitting safely in 14-of-18 games with an at-bat...hit .318 (7-22) and stole three bases in eight games during the Appalachian League playoffs as the Cardinals won the league championship. Ranked 6th in the Venezuelan Summer League in batting (.325), 5th in hits (69), 4th in slugging (.472), 3rd in extra base hits (23) and 2nd in triples (6)...batting average topped all Cardinals minor leaguers and he finished in the Top 10 in triples (6, T2nd), slugging (.472, T9th), on-base percentage (.402, T7th) and OPS (.873, 5th)...hit first home run vs. VSL Pirates (7/18)... smacked left-handers at a .415 clip (17-41)...hit safely in 43-of- 60 games. March 11, 2019 San Francisco Giants optioned 2B Breyvic Valera to Sacramento River Cats. January 5, 2019 Baltimore Orioles traded 2B Breyvic Valera to San Francisco Giants for cash. January 4, 2019 Baltimore Orioles designated 2B Breyvic Valera for assignment. January 3, 2019 2B Breyvic Valera assigned to Bravos de Margarita. September 1, 2018 Baltimore Orioles recalled 2B Breyvic Valera from Norfolk Tides. August 2, 2018 Baltimore Orioles optioned 2B Breyvic Valera to Norfolk Tides. August 1, 2018 2B Breyvic Valera assigned to Norfolk Tides. July 31, 2018 Baltimore Orioles recalled Breyvic Valera from Norfolk Tides. July 18, 2018 Baltimore Orioles optioned 2B Breyvic Valera to Norfolk Tides. June 19, 2018 Los Angeles Dodgers optioned 2B Breyvic Valera to Oklahoma City Dodgers. May 29, 2018 Los Angeles Dodgers recalled Breyvic Valera from Oklahoma City Dodgers. May 7, 2018 Los Angeles Dodgers optioned 2B Breyvic Valera to Oklahoma City Dodgers. May 4, 2018 Los Angeles Dodgers recalled Breyvic Valera from Oklahoma City Dodgers. May 3, 2018 Los Angeles Dodgers optioned 2B Breyvic Valera to Oklahoma City Dodgers. April 30, 2018 Los Angeles Dodgers recalled Breyvic Valera from Oklahoma City Dodgers. April 17, 2018 Los Angeles Dodgers optioned 2B Breyvic Valera to Oklahoma City Dodgers. April 15, 2018 Los Angeles Dodgers recalled Breyvic Valera from Oklahoma City Dodgers. April 4, 2018 2B Breyvic Valera assigned to Oklahoma City Dodgers. April 1, 2018 Los Angeles Dodgers traded CF Johan Mieses to St. Louis Cardinals for 2B Breyvic Valera. March 28, 2018 St. Louis Cardinals designated 2B Breyvic Valera for assignment. March 18, 2018 St. Louis Cardinals optioned 2B Breyvic Valera to Memphis Redbirds. November 21, 2017 2B Breyvic Valera assigned to Bravos de Margarita. September 21, 2017 St. Louis Cardinals recalled Breyvic Valera from Memphis Redbirds. September 11, 2017 St. Louis Cardinals optioned 2B Breyvic Valera to Memphis Redbirds. September 5, 2017 St. Louis Cardinals recalled Breyvic Valera from Memphis Redbirds. March 21, 2017 St. Louis Cardinals optioned 2B Breyvic Valera to Memphis Redbirds. November 7, 2016 St. Louis Cardinals selected the contract of Breyvic Valera from Memphis Redbirds. October 5, 2016 2B Breyvic Valera assigned to Bravos de Margarita. June 17, 2016 2B Breyvic Valera assigned to Memphis Redbirds from Springfield Cardinals. June 13, 2016 2B Breyvic Valera assigned to Springfield Cardinals from Memphis Redbirds. June 6, 2016 2B Breyvic Valera assigned to Memphis Redbirds from Springfield Cardinals. March 23, 2016 IF Breyvic Valera assigned to St. Louis Cardinals. September 29, 2015 2B Breyvic Valera assigned to Bravos de Margarita. August 23, 2015 2B Breyvic Valera assigned to Springfield Cardinals from Palm Beach Cardinals. August 8, 2015 2B Breyvic Valera assigned to Palm Beach Cardinals from Springfield Cardinals. April 8, 2015 2B Breyvic Valera assigned to Springfield Cardinals from Memphis Redbirds. April 2, 2015 2B Breyvic Valera assigned to Memphis Redbirds from Springfield Cardinals. February 4, 2015 St. Louis Cardinals invited non-roster 2B Breyvic Valera to spring training. 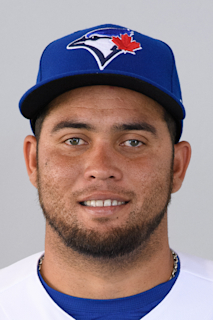 January 3, 2015 OF Breyvic Valera assigned to Navegantes del Magallanes from Bravos de Margarita. November 26, 2014 OF Breyvic Valera assigned to Bravos de Margarita. September 3, 2014 2B Breyvic Valera assigned to Peoria Javelinas. June 25, 2014 2B Breyvic Valera assigned to Springfield Cardinals from Palm Beach Cardinals. April 1, 2014 IF Breyvic Valera assigned to Palm Beach Cardinals from Peoria Chiefs. March 7, 2014 2B Breyvic Valera assigned to St. Louis Cardinals. January 16, 2014 LF Breyvic Valera transferred to Tiburones de La Guaira from Bravos de Margarita. March 31, 2013 OF Breyvic Valera assigned to Peoria Chiefs from State College Spikes. October 11, 2012 Breyvic Valera assigned to Bravos de Margarita. June 13, 2012 2B Breyvic Valera assigned to Batavia Muckdogs from Springfield Cardinals. June 4, 2012 Breyvic Valera assigned to Springfield Cardinals from Johnson City Cardinals. August 3, 2011 Breyvic Valera assigned to Johnson City Cardinals from GCL Cardinals. June 20, 2011 Breyvic Valera assigned to GCL Cardinals. May 17, 2010 VSL Cardinals signed free agent 2B Breyvic Valera.